There are some things in life that you know that in order to get the best a lot of money has to be spent. It is a common conception that the higher the quality of the service you get the higher the price gets. Luckily, Orange motorists do not have to live by such rules. Towing Ravens provides Orange car owners with tow truck services that are in league with the most professional and courteous service experiences you will ever get, but for extremely cheap and affordable prices. Call us now at (714) 464-8590 to get more for your money! 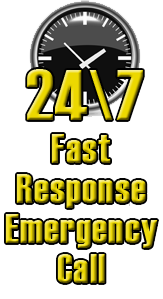 For a quick resolution for any of the above mentioned roadside needs call us now at (714) 464-8590. Orange’s experts and cheap towing services await you.